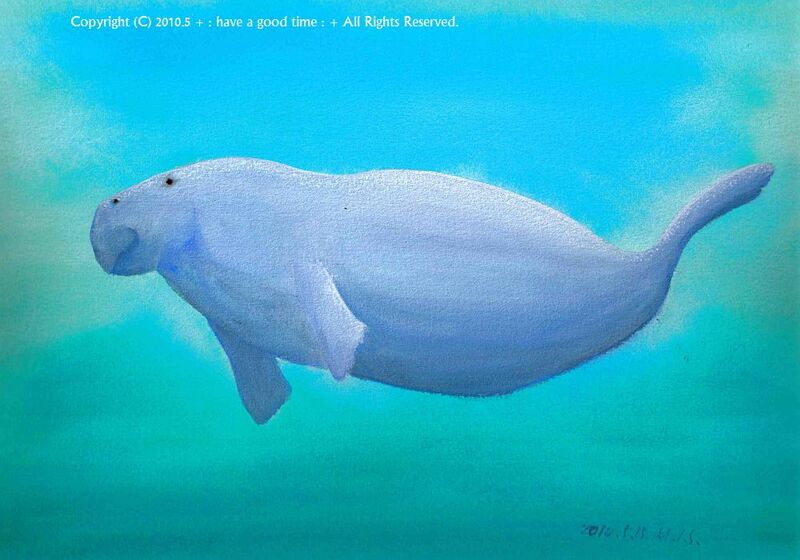 I drew the picture of a dugong. This dugong lives in Okinawa, but we must save them. Because the Japanese government has a plan moving an American military base to there where is inhabited by the dugong.